Swatting is pretty much the shittiest prank a person can pull, if you can even call an action that might lead to someone’s death a “prank.” Somebody calls the police and accuses somebody else—often someone who’s livestreaming—of an in-progress crime so heinous that a SWAT team shows up at their door, with unpredictable consequences. Late last year, a 28-year-old was killed as the result of one. As police continue to struggle with the issue, the Seattle police department has taken a proactive measure. Once you’ve done that, police should handle any calls about you that come their way with extra care. Sounds like a good start. what might be needed is the ability to verify a caller though, if that's a thing they can do. I'm not sure how to go about it but, in many cases verifying that a call actually came from where it say's it came from might be a start. if the call came from a phone in the area. call that phone. I assume that unless the address is spoofed and the phone doesn't exist, they will reach the actual owner of the phone to verify or not get through which would indicate more caution is needed. Again, this is a good step though I have to wonder if there are other methods that might help. Hm, the concern I have is how can this be guarded against abuse? What if someone is doing something seriously wrong but registers pre-emptively to try and keep the SWAT team at bay? It could happen, but context seems like it'd make it rare. Most swatting calls involve some kind of heat-of-the-moment threat because it's what gets the quickest/most serious response from police. I'd say it's pretty rare for someone to have planned out in advance that they're going to hold their family hostage far enough to have registered themselves for swatting concerns. Of course, the police do still show up even if you're registered, they just don't presume you're going to answer the door with a gun (which arguably is what they should be assuming anyway). If there really is an incident at the house, they'll find out pretty quickly. This is largely an issue due to the inherent aggression/violence of US culture and society, coupled with the ongoing militarisation of US police. It doesn't happen in Australia, and I can't recall any incidents outside of the US. It's a fact of life for a society at war with itself, basically. Keep in mind a lot of swatting happens in the US from outside the US. If you think about what you've said it makes sense that way. Most Australians don't even realise that we have a SWAT equivalent, but we know that in the US you can send a heavily armed strike team to someone's door with a few well placed keywords. So it makes sense for an Australian swatter to target an American streamer. I also get the impression that doxing is easier in the US which leads to a lot of the stalker/road rage/'political' swatting. Although it might just be that Dame Edna and Alf Stewart are our biggest stars/political activists. There are way more targets in any given American state. I would like to see some heavy penalties (jail time) for doing this, even if no one gets hurt. The people doing it know it’s wrong, there is so valid excuse. The problem is, like many internet crimes, the perpetrators are relying on the fact that there are no repercussions. Heavy penalties exist. It just doesn't seem to be effective against the sorts of people who do this. Look up the 2017 Wichita, Kansas swatting. I think it's impossible to scare that sort of stupidity out of some people. One would assume that part of the sign up process would to verify your ID (possibly with a trip to the local PD to authorise it) so you register your stream channel, a recent picture of you, the picture on your ID. 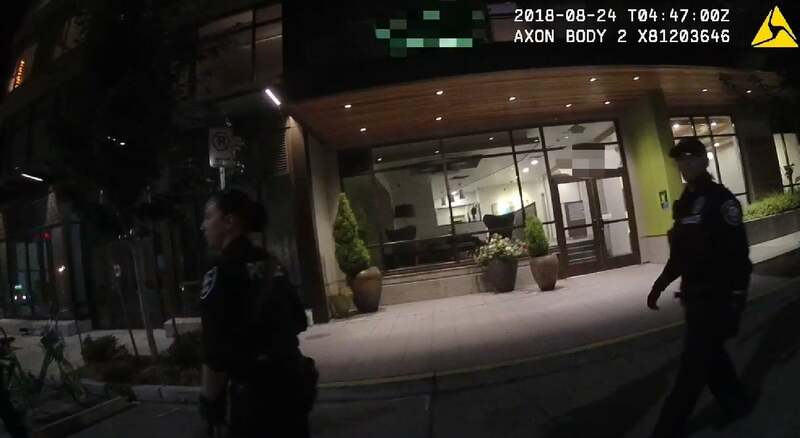 Cops get a call that sounds like a SWAT attempt they open that up - can see if you're live streaming at that very moment, and confirm it's actually said person live streaming. Still follow up for due diligence but without busting in with the mindset that there's a hostage situation going on so people are less likely to get shot?